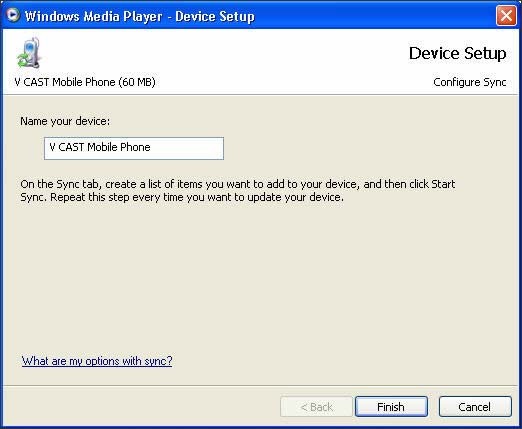 Ensure that the handset is connected to the computer with the USB cable and in Sync Mode. 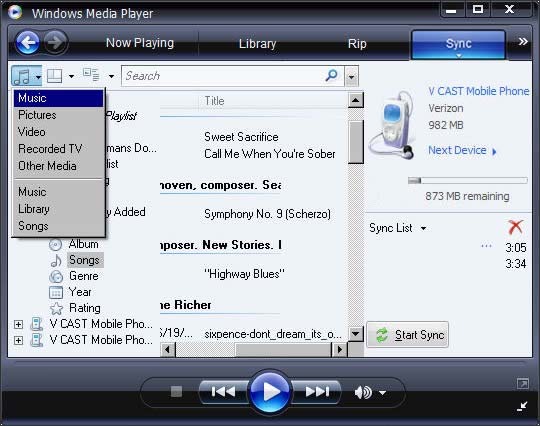 Open Windows Media Player by navigating: Start > Programs (All Programs) > Windows Media Player. 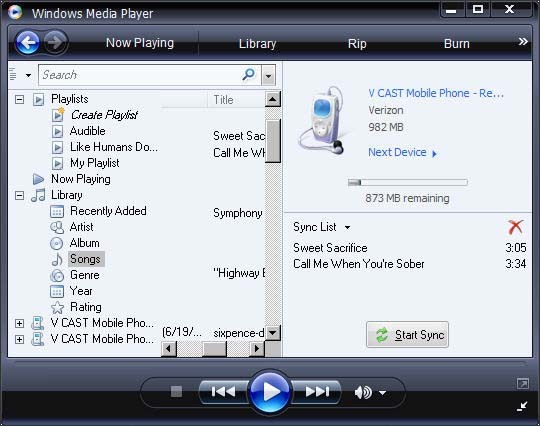 If this is the first time Windows Media Player has detected the handset, enter a name for the device then click Finish. From the Sync tab, click Music (denoted by the note symbol in the upper-left corner of the window). Select the desired songs from either a playlist or the library then drag them to the Sync List (located in the right pane). You can change the target location by clicking Next Device (located in the right pane).